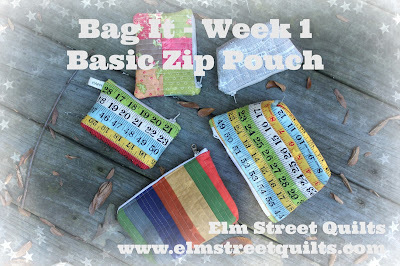 Today we are going to explore some basic options for the Basic Zip Pouch that started off our week. Clearly fabric choices are endless. 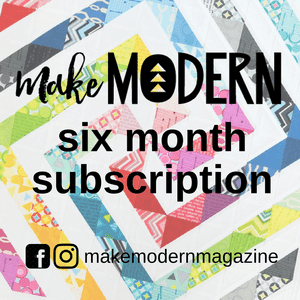 But you've also got several different options for finishing those corners that will give your bags a different size and make them better suited for specific purposes. See these great looking bags below? They all started out with the same dimensions we talked about on day 1. Charm pack bag is 4 '' high and 5 1/2'' wide. The corner's were not boxed. Measure tape bag is 3 1/2 '' high and 5 '' wide. The corners's were boxed at 1/2 ''. Gray bag is 3 '' high and 3 1/2 '' wide. The corner's were boxed at 3/4''. I just loved that bag with the measuring tape so I made a second in a larger size. Same instructions as our basic zip bag except start with fabric pieces for outer and lining cut at 8½'' x 6½''. If you want to cut a zipper to size by adding fabric zipper stops, your zipper should be at least 9''. 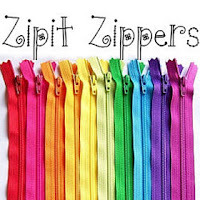 If you want to use a zipper without the fabric zipper stops, then choose a 8'' zipper. The larger bag was boxed at 1 ½''. Plenty of room inside for lots of good things! The one on the left was boxed at 1 1/2'' and finished at 4'' tall and 5'' wide. The bag on the right was boxed at 1'' and and measures 4 1/2 '' tall and 5 1/2 '' wide. Are you enjoying this series as much as I am? I hope you've got great plans to make and share bags. 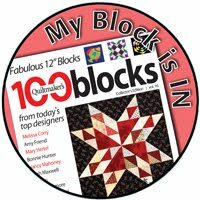 See the Elm Street Quilts Bag It information page for more information. 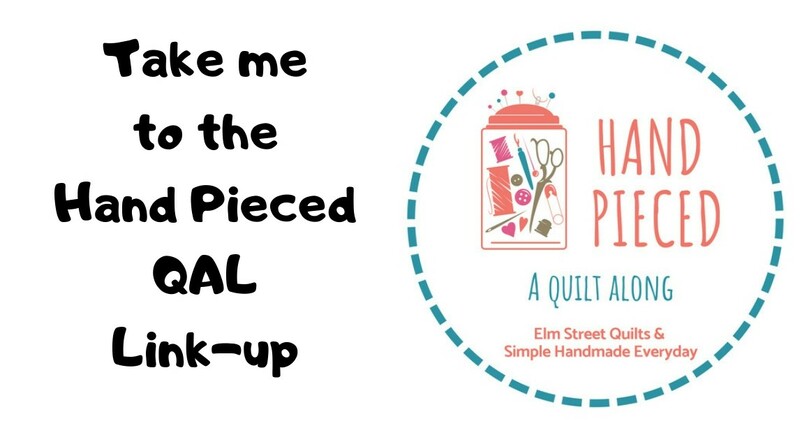 This post was sponsored by Zipit, an Etsy store. Yes, I've been following along with this series and look forward to what's coming up. I'm happy to be a part of this. Finishing up week 4 of Bag It! Bag It Inspiration from around the world!! !